Last Saturday, Halton charity Home Sweet Hope held its first “Sleep in Your Car” fundraiser at the YMCA of Oakville. 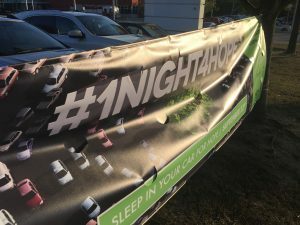 More than 50 participants registered for the inaugural sleepover – after collecting pledges since June, each participant drove their car to the YMCA parking lot to sleep in overnight. 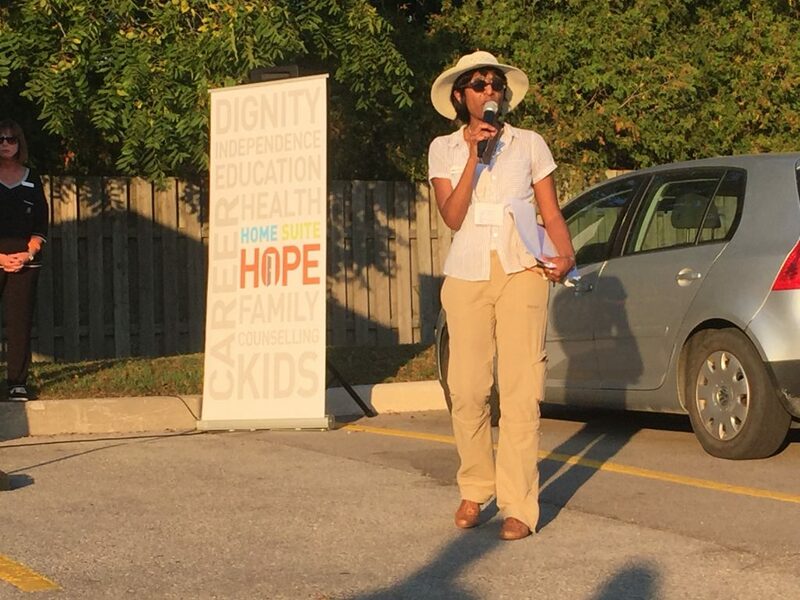 Home Sweet Hope organized the event to raise both awareness and funds for homelessness in Halton Region. 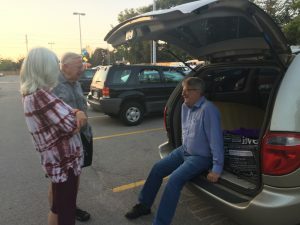 The organization says families without a permanent residence may spend weeks or even months living out of their cars while moving between residences. All proceeds from the event support the organization’s work in Oakville and surrounding area. The not-for-profit charity works with low-income, single-parent families become self-sufficient. Ongoing projects they oversee include education, providing affordable housing assistance, and skills development classes. Home Sweet Hope CEO and President Michelle Pommells speaks to the crowd of attendees, volunteers and dignitaries at the opening ceremony Saturday. Pommells pointed out while it could be challenging to spend a night in a car, it’s nothing compared to living in one permanently. Most parking lots have strict rules about overnight usage – and many in downtown Oakville also charge parking rates by the hour. The organization created a festival-like atmosphere, holding games and activities inside the neighboring YMCA’s gyms and hosting a barbeque dinner. Multiple bands played in the early evening, and a movie was screened outside after the sun went down. But even with amenities and events, who would volunteer to sleep overnight in a parking lot? The participants were as diverse as the vehicles they slept in. Families, co-workers, and local dignitaries made up the 47 registered vehicles for the night. Participants ranged from age 6 to 81, and while most slept as singles, there were several pairs and one family of four. The “deluxe accommodations” ranged from Volkswagen Beetles to renovated school buses. Mayor Rob Burton speaking with fellow participants beside his family van. Pictured inside is a borrowed mattress and neon purple sleeping bag. The tired participants were met with a harsh awakening on Sunday morning not unlike what true homelessness might be like. With the YMCA opening at 8 a.m., participants were instructed they had less than an hour to pack up and leave. The event exceeded the $100,000 fundraising goal only two hours before the event began. Each participant was required to raise a $1,000 minimum before arriving on Saturday, with the participants themselves covering the difference. At the parking lot entrance, Home Sweet Hope’s banner decorated the front along the Rebecca Street entrance. On Tuesday afternoon, Home Sweet Hope announced on the event’s website the event raised a total of $101,287. The all-female team from Genworth Canada won the prize for top fundraisers. Their team collected $14,560. After achieving their goal and receiving such an enthusiastic turnout, will the charity return next year? With this year’s event such a success, Pommells certainly hopes so. To learn more about the organization, visit https://www.homesuitehope.org. 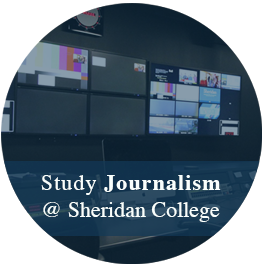 Tyler Collins is a current Journalism student at Sheridan College in Oakville. He is also the film and theatre critic and reporter for OakvilleNews.Org. You can follow him on Twitter @MrTyCollins.